We have something slightly different for you this month. 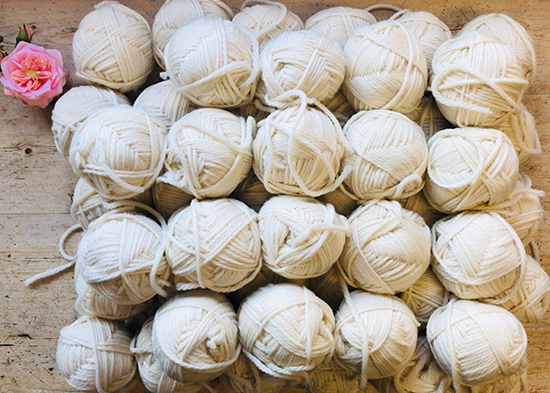 A bumper batch of 50 x 100g balls of wonderfully soft, extraordinarily chunky, cream coloured 100% wool. Enough to make a cosy blanket or several warm and toasty scarves and hats. We aim to announce the winner via our social media channels – Twitter, Facebook, and Instagram – at the end of April. Be sure to give us a follow to keep up to date with everything Knit for Peace. Good luck!